We are a collection of whitewater kayakers, videographers, photographers, writers, indigenous representatives, and folks who are passionate about the earth and her vital rivers. Ruth is an indigenous and environmental activist from the Uchupiamona community located on the banks of the Tuichi River. She is our main contact with indigenous communities of the region, and we're excited to have her as one of our main characters for the film. Ruth's steadfast character, compassionate nature, and endless knowledge about Amazon wildlife have led her to overcome enormous obstacles as an indigenous women in the heart of the Amazon. Ruth was the first female in her community to attend high school, and the first person (male or female) from her community to go to college and graduate. Since then she has been working to develop ecotourism in the region. She is the owner of Bird Bolivia and one of the founders of Sadiri Ecolodge. Ruth's participation in the expedition will be her first time down the wild Tuichi River. Along the way, Ruth will share with the team her wildlife expertise, and help narrate the story of the region's current situation. Kalob is a professional whitewater kayaker, photographer, and all-around great human being. Offering his services as one of our token males on this female-dominated team (a totally valued and beloved male of course), Kalob is one of the main videographers on the river section of the project. Currently Kalob works as the head coach, environmental science teacher, and photography/film media teacher at World Class Kayak Academy- a traveling boarding high school for elite young kayakers. When he is not wrangling teenagers through rapids, teaching them to be better human beings, or expedition-ing with us, Kalob serves as an administrator and athlete for SEND, a kayaking production company and host for the "Unleashed" international professional whitewater competition. His ever-expanding athletic profile includes sponsorships from Mountain Equipment Co-op, Kokatat, Jackson Kayak, and Werner Paddles. Hayley is a kayaker, filmmaker, environmentalist, and the project director for "Still River, Silent Jungle". The wheels of production for the film project were set in motion in 2014, when Hayley studied abroad for five months in Bolivia and learned about the nation’s whitewater rivers, as well as their enormous hydroelectric ambitions. Since then, Hayley has been in contact with Bolivian academics and indigenous peers and colleagues to organize a way to help the cause and raise awareness about the dangers of the Chepete/Bala mega dam proposals. Rivers, people, and adventure are the driving forces in Hayley's work. She has collaborated with individuals from Pehuenche Mapuche, Quechua, Aymara, Zapatista, and Guaraní communities in order to learn, film, and raise awareness. Most recently she spoke at the 2017 Sun Valley TEDx event. Her talk was titled, “Dammed If We Do: a closer look at the dangers of mega hydroelectric development”. Courtney is a young yet accomplished film-maker, kayaker, skier, and indigenous rights activist. Her latest documentary called “The Confluence” features the Navajo sacred sites that are threatened by the gondola proposal in the Grand Canyon. The executive Director of her film was Robert Redford, and the film was shown at the Navajo Council meeting that determined the fate of, and ultimately rejected the Escalade Project. Courtney has worked with Navajo indigenous communities throughout the Southwest US, and Aymara communities on the Isla Del Sol in the highlands of Bolivia in order to make impactful films about their cultures. Courtney is also a full-time adventurer; often disappearing on backcountry hut trips and kayaking/rafting multi-days voyages. Her experience with filmmaking, working with indigenous communities, and being relentlessly positive makes her an indispensable asset to the team’s profile and the film’s success in Bolivia. Shaya Christensen (CO, USA) is a Denver-based independent producer, caseworker and adventurer. After graduating from Middlebury College, Shaya's journey took her to work in literacy and community projects in Latin American and Latin communities in the United States. She is currently the project producer for Cruzada, a film about the Nicaraguan National Literacy Campaign, and simultaneously runs programs and does casework for refugee families in Denver. "Still River, Silent Jungle" addresses issues close to Shaya's heart as she grew up watching her godfather work with indigenous communities to fight against dam construction in the Brazilian Amazon. 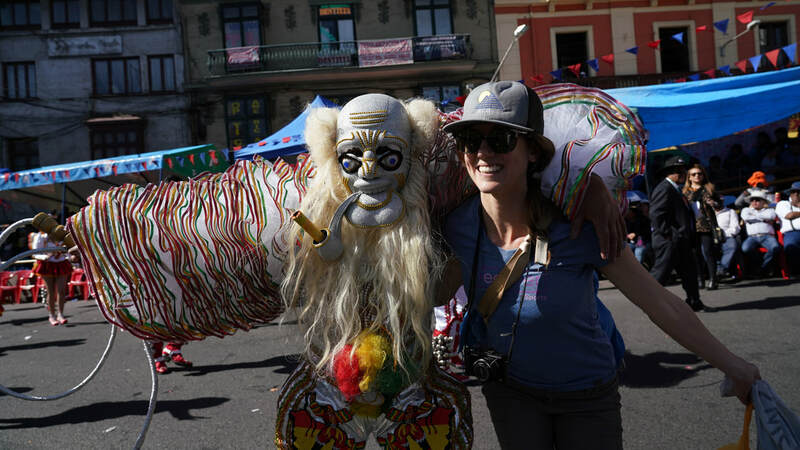 Shaya's experience living in Bolivia, making films, working with communities from all over the world, as well as her unyielding enthusiasm make her an obvious choice for SRSJ's media team. Sergio plays many roles in the realization of "Still River, Silent Jungle". Aside from being our incredible on-the-grounds man in Bolivia (securing us transportation and lodging, and fixing things/plans that break), Sergio is well-known for his camera skills and adventurous attitude. He began his adventure tourism operation Explore Bolivia in 1994, while working at National Geographic. Sergio led the first descent of the Machariapo and Tuichi Rivers in 1996. He has since published two coffee-table photography books: Altiplano: where earth and Sky embrace (2016) and Madidi: An Uncertain Future (2017). He also runs custom photographic tours to all corners of Bolivia and works as a guide, translator and fixer for productions in Bolivia. ​His expertise and experience in Bolivia's jungles, rivers, and cities is essential for our mission, and beyond that, his matter-of-fact and relentless personality make him a keen character on the project whether he is on or off camera. Lorenzo Astorga Andrade (Maipo Valley, Chile) is a professional whitewater kayaker, raft guide, and filmmaker. Growing up in the Mystical Maipo River Valley, Lorenzo and his family have been fighting for ten years against the Alto Maipo Hydroelectric Project that threatens to divert the Maipo River for 70km of underground tunnels and thus drying the valley. Lorenzo is the proud co-founder of Nomade Media, which is now the second most successful production company in Chile. Back in 2010 Lorenzo worked at New River Academy, serving as Hayley and Kalob's high school Spanish teacher and kayak coach, and is now bringing it full circle. 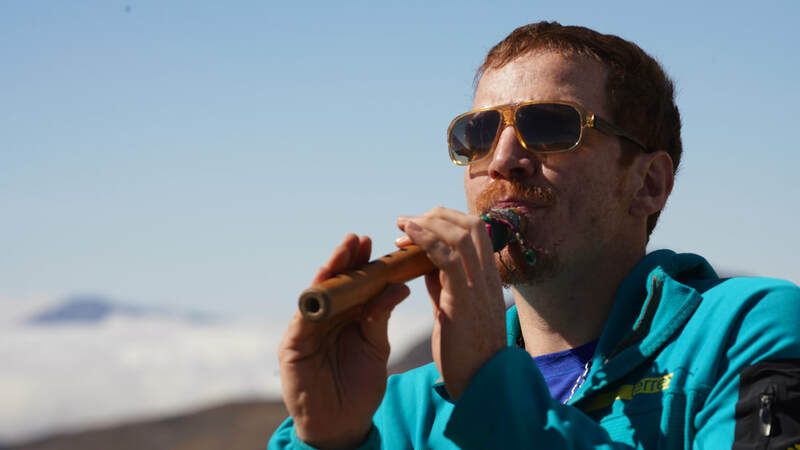 He can be found playing the quena (an Andean flute) anywhere and everywhere he goes, from the rivers and mountains to hotel elevators and airports. Kira is a kayaker, writer, yoga instructor, and environmentalist, and will be a key part of the team on the river, and in the writing department- writing impactful articles and/ or blogs post-expedition. Throughout her life Kira's work has revolved around the inherent link between human and environmental health. Currently in the International Conservation and Development program at UM, Kira's research focuses on how to maximize benefits to local communities of adventure ecotourism development, particularly as an alternative to large-scale hydropower and extractive industries. For her thesis she is conducting applied research in Bhutan, Fall 2018. She writes for Recover and NRS, and has written for such publications as Sun Valley Magazine, Kayak Session, and Canoe & Kayak. 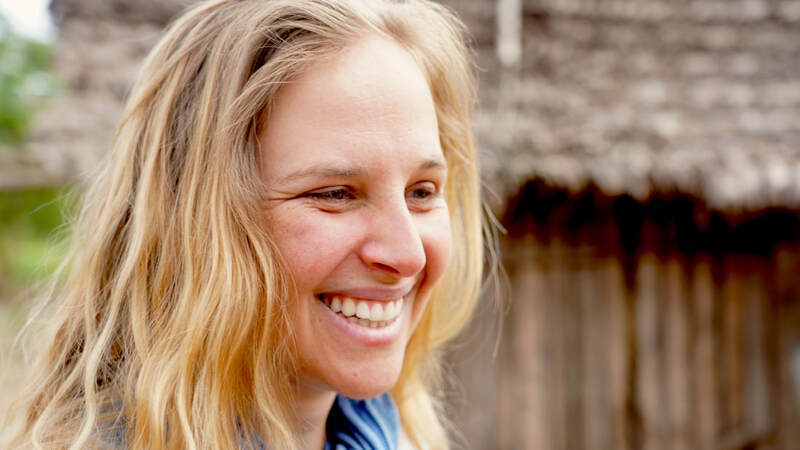 A passionate storyteller, Kira has experience in directing and delivering impactful, inspiring stories about kayaking, sustainability, feminism, and ecotourism. "Dammed If We Do: A closer look at the dangers of mega hydro development"